I can't believe how swamped I've been over the past couple of weeks but there is plenty of good reason and I'll fill you in on that shortly but today is just going to be a day to celebrate. A few days ago this blog became 3 years old. One of those amazing things that recently came my way was an invitation to be a guest speaker. My friend Sharon of Vroomans Quilts asked me to speak to her guild, The Schoharie Valley Piecemakers, at their November meeting about 100 Good Wishes Quilts. It was a thrill and an honor and from the feedback I've heard, it was a huge success. Whew! I admit that I was just a tad bit worried about that. My friend Alana came along for technical and moral support. That group is fantastic and so much fun. Too bad they aren't close by....I'd join in an instant. I'm happy to report that they "got it" and many of them are now thinking about making some 100 Good Wishes Quilts, for new babies or weddings or graduations. I can't wait to see the pictures of what they create. But not only am I celebrating this blogiversary, but this just happens to also be my 600th post! That averages out to 200 posts per year. Not too shabby I think, especially considering I still work and have little kidlets at home. Now it is time to party! I'm not receiving presents but two of you will. Reaching dual milestones calls for dual goodies in my eyes. One winner will receive Judy Madsen's Quilting Wide Open Spaces book. It truly is fabulous and the instant she announced she was getting it published I put it on my wish list. Well...I ended up receiving 2 copies so one of them will go to one of you. The second winner will receive my last half yard bundle of Petal Pushers by Whistler Studios for Windham Fabrics. I love the bright colors and fun prints in these fabrics and considering the nasty early winter weather we've had lately, I'm trying to keep spring-ish thoughts. Hey, a girl's got to do what a girl's got to do to get through the bitter cold months. These giveaways are open to one and all and will close at Midnight Tuesday, November 25th. What One thing are you hoping Santa brings to you this year? Have many wishes on your list? I'm sure but for this giveaway you have to pick and tell me just one. My followers get a 2nd entry, just tell me how you follow. I'm looking forward to what year 4 might bring. One never knows what exciting new avenues might open up. I hope Santa brings me a quilt certificate for fabric. 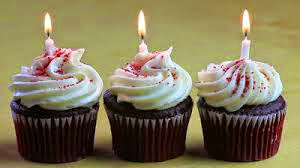 Congrats on your third birthday and 600th post.... that's a lot of great blogging! Thanks for the giveaway....seems like we should be gifting you. I already have Judy's wonderful book so you can leave me out for that one. May your have many more blogging anniversaries! And I'm a happy follower! Good health would be my greatest wish! Congratulations on both milestones, here's to many more!! Thank you for the chance, the fabric is gorgeous. * I'm wishing for a good light to do my hand stitching by! I'd love to have my own sewing room for Christmas, but since that's not likely to happen, I'd be happy with an Amazon.com gift certificate, so I can add to be collection of quilt books. Thanks. Congrats on your milestones! I really don't have a wish list this year. I am pretty content :) But every girl can use a great new quilting book and fabric ;) Thanks for the giveaway. Congratulations sweetie! I follow with GFC. I don't make wish lists as they just don't come to light. But I would love the BlockRockit14 quilt machine. Congratulations on your milestones. 200 post per year isn't to shabby at all. The one thing I want is the Havel's Fabric and Quilt Cutter. I'm hoping Santa brings my new flooring before Christmas this year! Happy blogaversary! How neat it was that you got to speak at Sharon's guild. Wish I'd been there. My wish is for another healthy year in our family. I have Judy's great book, but I'd love the fabric. congrats! Not sure what I want for Christmas, I'd like a V17 upgrade, but that's too much $$, I'd also like a nicer camera but don't NEED it. Really I think we're doing small gifts this year (hubby and I) as we're pretty sure he'll be laid off in the new year- thought it would be this year, but hasn't happened yet. Wow! Wonderful for you to celebrate two milestones!!! I really, really want a new tablet because mine has a crack and since then has not been much fun to use! I'd also be very happy to have new pj's too!! Congratulations! One wish - to spend the day with my grandbabies, the first ever since up until a couple months ago we lived 3000 miles from them! 600 posts in 3 years is amazing to me. Congrats. I want Santa to bring a rolling tote for my machine so it's easier to get to sew days. My wish is for Bloc Loc ruler! I need all the help I can get when cutting and making HST! I am hoping that Santa brings my grown-up daughter here (in Florida) from Brooklyn! I follow you with feedly. CONGRATS on your double celebration! I am a regular follower. I think I have been following you for at least two of the three years! Congrats on all of your finishes these past few years. I look forward to seeing many more. A little thing I'd like to see under the tree this year is Bonnie Hunter's book: Scraps & Shirttails II. I have most of her other books. Some year I'm going to work through one from cover to cover. Have a great holiday season. Congratulations on your double celebration. 600 posts is amazing. For Christmas I would like to see a day where we welcome heathy newborns into this world. I am working a 12 hour shift as a midwife. Thanks for the chance to enter the giveaway, I have Judis book and love it. I hadn't thought too much about Christmas yet. I am kind of hoping my MIL gets me some fabric, so will wrap my presents in them :) I love it! My Christmas wish, for my family and friends to stay healthy. Congrats on 3 years and 600 posts! I follow your blog via email. Congrats on the milestones! I enjoy following your blog. The biggest thing on my list this year is a new tablet. hope I have been good enough this year lol. I don't have a list of "things" but time with my husband and son would be my wish. Lately we all seem to be going in different directions! I follow your blog via GFC. Congratulations on your milestone! Congratulations! I'd love for Santa to bring my husband a job. Thanks for the chance to win. I also follow via e-mail. Thanks again. Congrats on 600! that's a lot of blogging. Although I'm loving being unemployed and having lots of extra time to sew, I guess a new job is number one on my wish list. congrats on 3 years and 600 posts. I hope santa brings me a civil war brooch, a civil war fan and civil war ladies dress gloves. Our son is getting married and having a civil war themed wedding. so I will be making a civil war dress and would love to dress it up a little. Gurlllll yiu got it going on! Many congrats on 3 yeas and 600 posts. I really enjoy your blog. I hope Santa brings me a gift certificate for fabric. Thanks for the chance to win. I have been eyeballing that book! Congrats on 600! I would LOVE Santa to bring me a long arm! I'd settle for his bringing me a Bernina! But..I'll be happy with some new fabric! Congratulations, Michele! Thank you for the giveaway. I would love for Santa to bring me a new computer. i agree with others....good health is so precious and would be a most welcome gift. I know it's been said already but good health for my family and myself. Congratulations on your milestones! I hope Santa brings me a longarm quilting machine but it won't fit in his sack so I won't be disappointed. :( Thanks for the giveaway. I enjoy your blog. Thanks again. I've also shared your giveaway on my Giveaway List for sewers & quilters at WowILikeThat.com. Thanks again. Congrats on your blogging birthday! I am hoping for EQ7. I probably wont have time to use it but I still want it. I happily follow you on GFC. I like receiving JoAnn's gift certificates from Santa. Congrats Michele! I would like Santa to bring me a new sewing machine. I'm hoping that Santa will bring me an embroidery hoop this year. I like to do hand embroidery on my quilt blocks and that would be wonderful. I would like a new comfy desk chair for my sewing room! I'm a follower quilty girlfriend! For Christmas I would like my quilt magazine subscriptions renewed. Thanks for the giveaway. I follow via e-mail. Thanks! I am hoping Santa will bring me a serger for my sewing room, plus some good lessons to learn how to use it! Congratulations on your double milestone! I'm hoping that Santa brings our family an adoption approval letter from China - hopefully for Thanksgiving instead of Christmas! Oh, and fabric, too! And I follow you via email!! My favorite part of Christmas is the candlelight Christmas Eve service, so good weather so we can have safe driving. I follow your delightful blog via email. I hope to get fabric store gift cards. To support my addiction. Also because I don't want someone to pick out the fabric for me. Imagine making 600 quilt blocks. If you made 200 per year that would be a big quilt. I hope Santa brings me a visit from my Grandchidren. That would be wonderful! Congratulations on your milestones. I hope that this Christmas I get to spend time with my children. I am hoping for the sewing table that goes with the machine that I bought a year ago. That way I can do my piecing and quilting in my sewing room. Right now to actually have the room to quilt I have to carry it downstairs to sew at my dining room table. A gift certificate to the quilt shop in Huron!! Happy Blogaversary! I'm hoping that Santa brings me lots of thread! And I'm looking forward to your next 600 posts! I've been following your delightful blog on Bloglovin! Thanks for all the inspiration! I just want my family all together for Christmas. Congratulations on two milestones! I follow your blog via email. Thanks for the giveaways! I am following you via Bloglovin'!! My wish is for Peace on earth and this pretty fabric. Following you on Bloglovin. I'm a happy follower through GFC and I have ya right on my blogroll! Congrats on three years!!!!!!!! Congrats on three years and 600 posts! That's quilt an accomplishment. I'm hoping for a hand quilt hoop. I would really like to get a new camera this year. I'd love a new winter coat!!! I hope Santa gives all the little children of the world peace and health. I hope Santa brings me a bosu ball. I always love your 'eye candy!' and your blog. So inspiring! I wish (pray daily) for my children's happiness. I am so blessed. Thank you for sharing and congrats on your milestones. I follow your blog through email and bloglovin! Thanks for the giveaway! Happy Milestone's!! :) Lots more blessings to come! A new recliner! Congrats on your 600th post! Wow, that's so encouraging. Santa could bring me a maid! I hope Santa brings me an organizer for all my fabrics and sewing things. i want santa to bring me one of the new sewing machines made for quilting. Wow - congratulations! I really want a new sewing machine from Santa. Thanks! Santa needs to bring me a some new fabrics and free time to get through my to do list! This is very random, but I'm hoping for a Sonicare DiamondClean toothbrush! I recently got Invisalign, and I really want to focus on my dental health in the new year. I am hoping that Santa brings me the beginnings of my new studio. It is looking good since he has already talked to the carpenter about taking down a wall. I follow on Google Friend Connect and congratulations on your milestones. Congratulations on your blog milestones. Santa could bring me a gift certificate for some quilting books on my list. Congrats on the wonderful milestone happening! I would Santa to bring me an Ipad. I hope Santa brings me a big roll of batting so I can quilt more. I follow you via Tamarack Shack Blogspot. I would love it if Santa could arrange for me to find a little spare time just to have a little me time .... to quilt read or just visit with a friend. 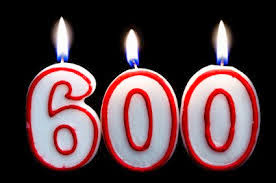 Congratulations on reaching your 600th post. I love the fabric and could always use more fabric at Christmas. New follower as I just learned of your blog and heard you completed your 600th post...I'm still working toward my 50th! Congratulations and hope you make 600 more! Thanks for having a giveaway. Congratulations on you blogiversary. I've been following you for months and am always impressed with your projects.